Have you ever thought about how many hours we actually sleep each day? What I believe is that it’s definitely been a long time since I slept like a baby. 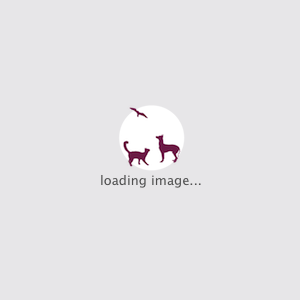 While we humans are struggling with sleeping problems and discovering healthy sleep-promoting techniques, there are many animals which happily spend more than 80% of their time in sleeping every day. There are animals such as giraffes that need only a few minutes to sleep, while, interestingly, dolphins and whales do not sleep for the first month of their life. But, some animals spend much of their entire lives in dreamland. Let us find out more about some of the sleepiest animals in the world! 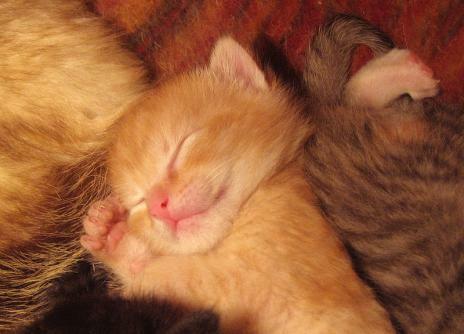 Cats along with mice, pigs and cheetahs love to spend a lot of quality time snoozing. They can sleep for around 12 hours per day. Rats, gerbils and lions are a little ahead of them as they can sleep for about 13 hours a day. This means they essentially spend 2/3rd of their entire lives in dreamland. 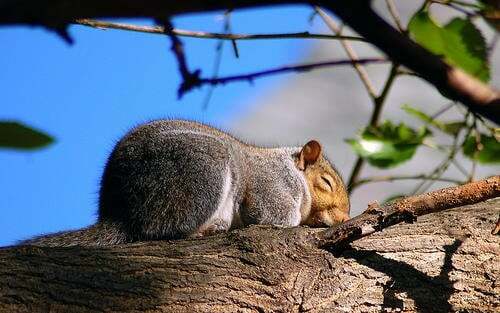 Squirrels mostly eat food rich in carbohydrates, protein and fat, which might be the reason that they sleep about 14 hours a day. Even Golden Hamsters and ferrets are at the same position in this race. The Golden Hamster sleeps deep inside its burrow to avoid predators during the day. Though these animals sleep a lot, they are very active when awake. Nevertheless, they are capable of sleeping almost twice as much as we humans do. Do not get surprised to find a human baby at 5th position. We all learned in biology that we human beings are animals. 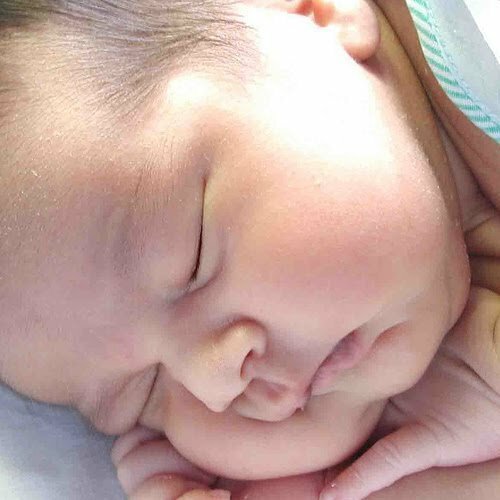 A human baby of age 1-12 months can sleep 16 hours a day. There is another animal that also sleeps, curled up like a baby, for 16 hours a day – the lemur. It is a nocturnal animal and often sleeps in small groups. The Owl Monkey is a truly nocturnal animal – and is also known as the night monkey. 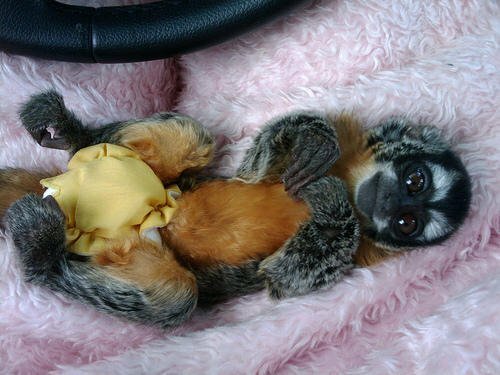 The owl monkey spends about 17 hours a day sleeping. Mostly active at night, and widely distributed in the forests of Central and South America, these monkeys have big brown eyes which help them to see more clearly during the night. 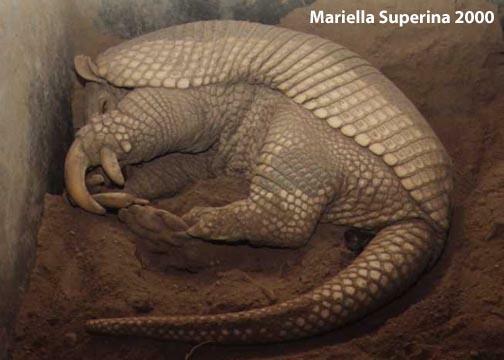 Armadillos sleep for about 18-19 hours a day. They are most active during the night and sleep away the larger portion of the day. Scientists still do not know just what makes this animal so sleepy. Perhaps being a solitary animal, the only thing an armadillo can think of is to crawl inside its burrow and sleep as much as possible. Opossums and tigers also sleep about the same amount each day. Could it be – 20 hours a day? 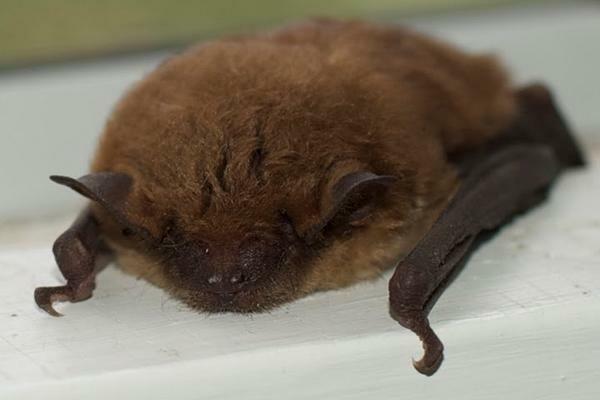 Yes, Brown Bats are awake for only 4 hours of the day and love to sleep, some 83% of the time. Hanging upside down and only emerging during the night, these bats hibernate half the year because of lack of food. Sloths also sleep for the same amount of time. 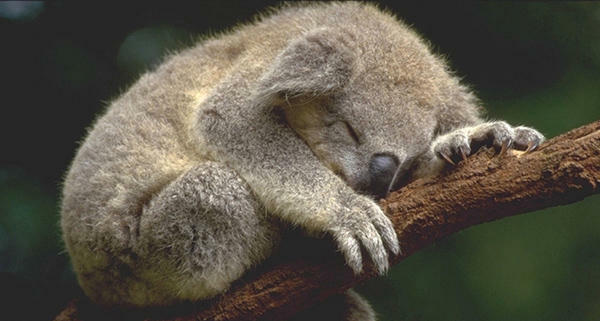 An arboreal animal, koalas grabs the top position for being the sleepiest animal in the world. Found only in Australia, they live mostly on eucalyptus trees, and sleep about 22 hours a day. When awake they spend quality time only on eating. Though many animals spend more than half of the 24 hours of the day sleeping, that doesn’t mean they are lazy. They are actually very active when awake. Some animals do rest half-asleep and some seems to be at rest but fully conscious. Scientifically, a good sleep, and rest, is essential for a healthy body and gives it a chance to repair. Talking of humans, it really is important to ensure that you get good sleep helping you to get over your worries and to dispel the tensions of your day to day life.